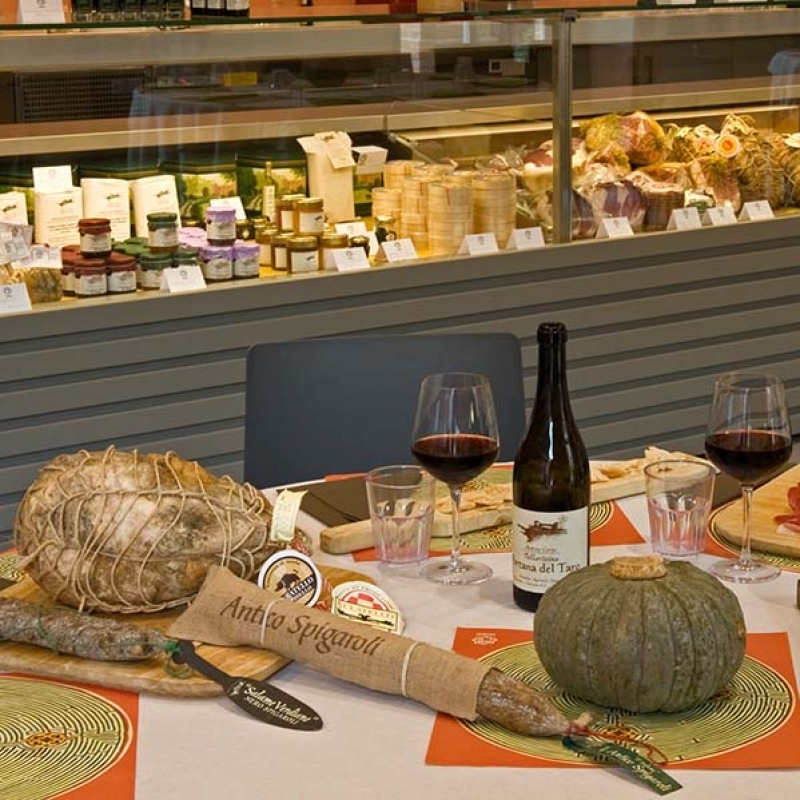 The Spigaroli Brothers are the award-winning local chefs who manage the eateries at Labirinto della Masone. These include The Bistro, the Café and the Store. Open access. 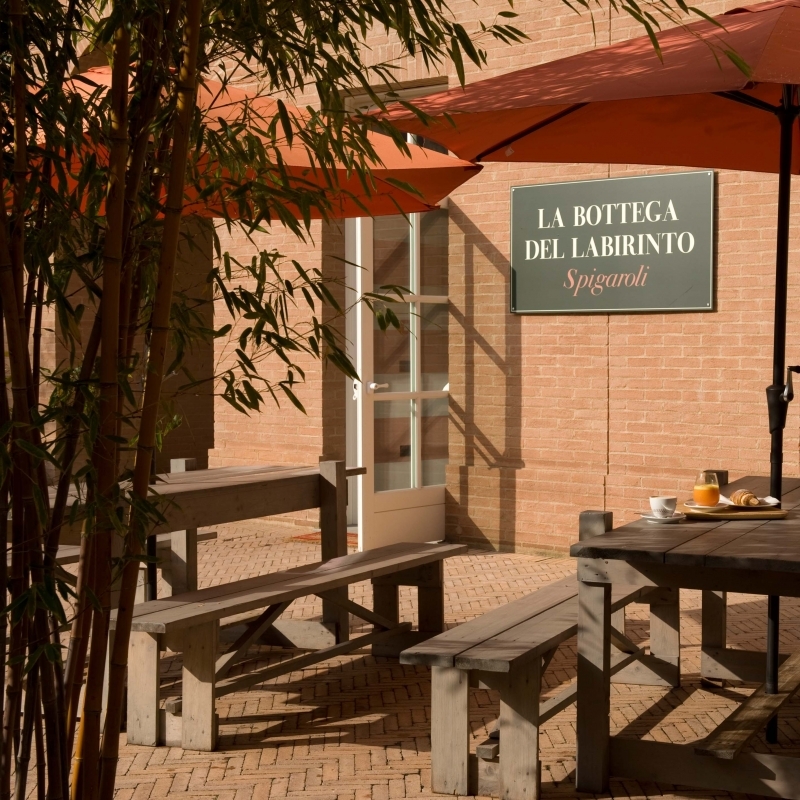 Access to the Bistro, Café and Store located in the Entrance Courtyard is free and does not require a ticket to be purchased. Perfect for a quality dinner, it is also open at lunchtime. It is run by the award-winning Spigaroli Brothers from the local area. It is designed for those wanting to enjoy a refined meal which reflects local tradition. 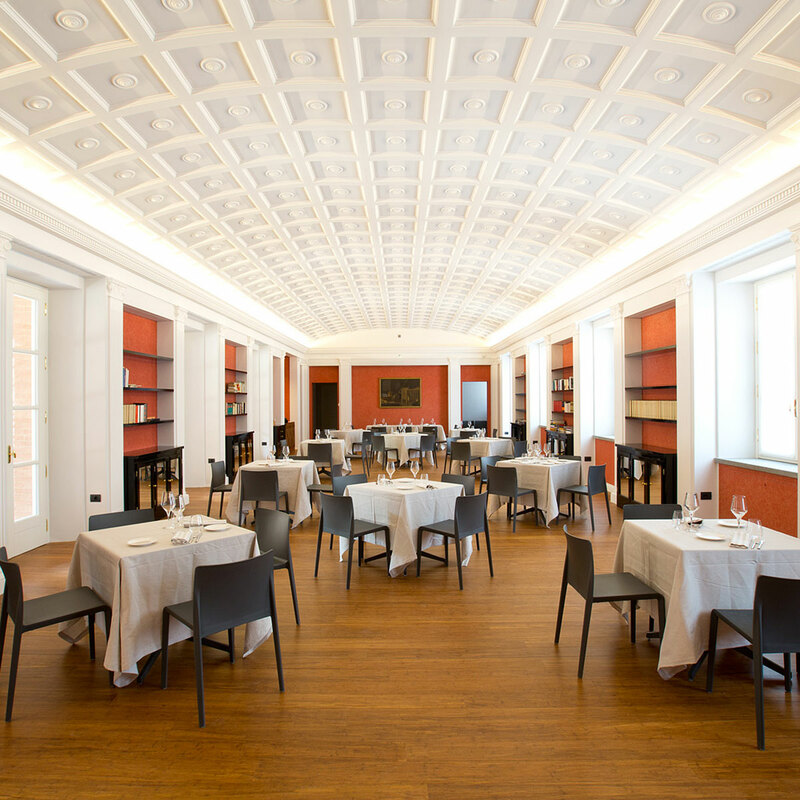 The menu is based around Parma’s typical cuisine, as well as Italian dishes in general. From Friday to Sunday and public holidays: lunch from 12.00 to 3.30 pm, dinner from 7pm to 10 pm. The café offers a fast service open to all, particularly suitable for younger people and those looking for a moment to relax during their visit. Visitors can sit under the portico to enjoy a simple dish accompanied by a glass of wine, or even just to have a drink or a coffee. from Friday to Sunday and public holidays, from 9 am to 9.30pm. The Store at the Labyrinth allows visitors to take home quality products from the local area. 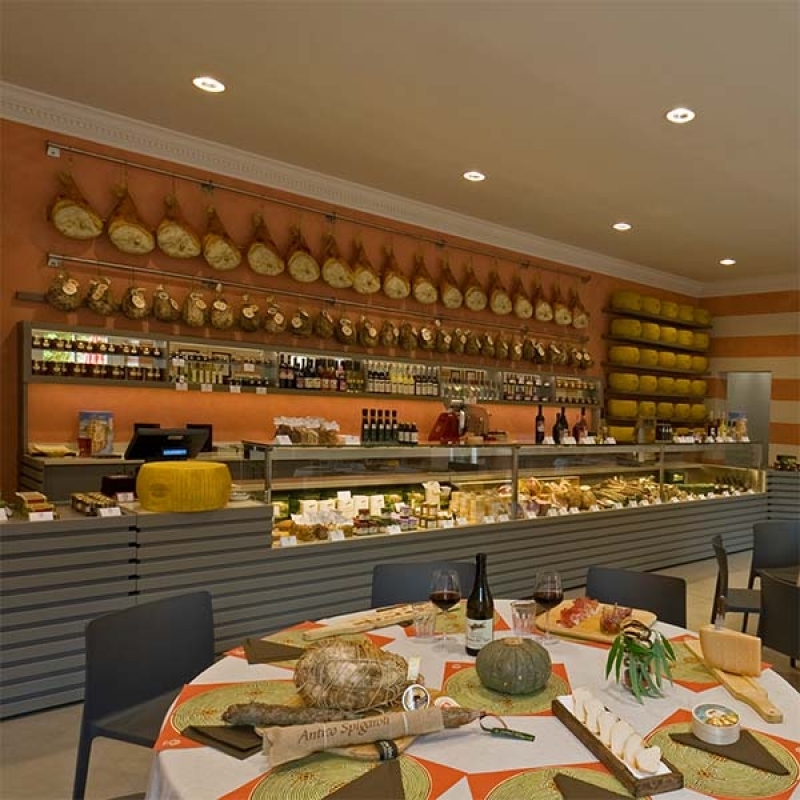 Culatello, strolghino and all the Spigaroli deli meats, Parmigiano Reggiano, wines, the confectionery made at the Labyrinth and many other mouth-watering delicacies from our food-rich areas are available every day in our shop. First they should be tasted, just as local tradition would have it.